Globally, each year around 800,000 lives are lost due to suicides. The recent statistics from Nepal Police shows 5,346 suicide cases were reported over the fiscal year 2017/18. To raise awareness and global commitment to prevent suicide, World Suicide Prevention Day is observed on 10 September every year. 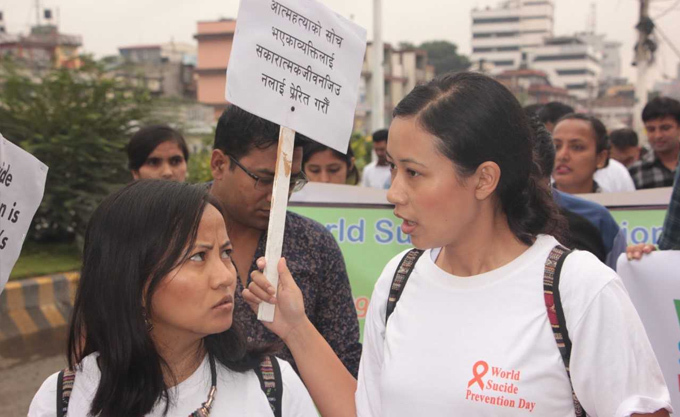 With a collective effort from the concerned stakeholders, the Epidemiology and Disease Control Division of Government of Nepal organised a rally programme highlighting this year's slogan "Working Together to Prevent Suicide." 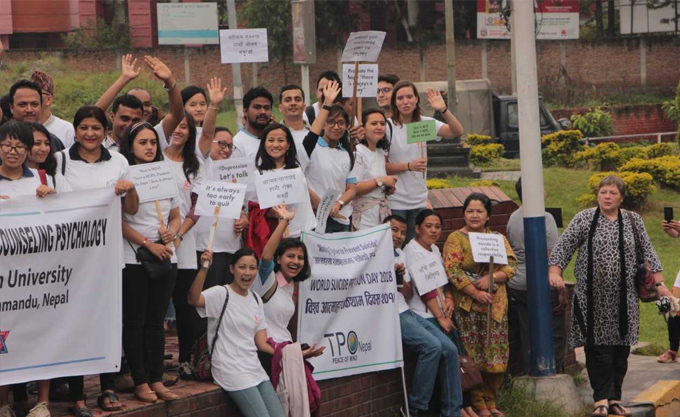 UMN's health team also joined the rally today which commenced from New Baneshwor upto Mandala, Maitighar. Similarly, different programmes were organised at UMN cluster offices to mark this important day. A rally was organised followed by an interaction programme on suicide among the teachers, parents, health workers and students in two schools in Rupandehi. Additionally, a joint talk programme on suicide and its prevention with the elected representatives of local government bodies and local health facility staff took place in Rukum and Bajhang respectively.